Newsletter 046: Love at first sight! 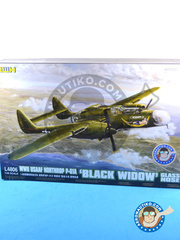 That is exactly what we felt here at Aeronautiko when we saw these Great Wall Hobby kits. Thing is that they simply have that mesmerizing perfection when you stare at their details, their fittings, their plastic injection technology... even some of the crew dream with them at night!!!! Those finishes! Those details! ... Those feelings that you need to build them all!!! No doubt love is in the air, and here at Aeronautiko it has a name: GWH. 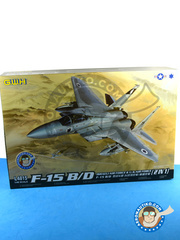 A fantastic F-15 scale model kit made by GWH with their standard quality and excellence levels. 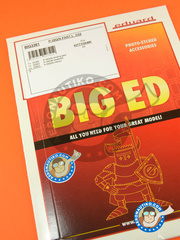 The kit features the excellent detail level and parts break up that you can see in the product pictures. 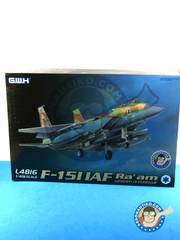 A new and fantastic F-15 kit made by GWH with their usual plastic quality level, excellent detailing, vast decal sheets, meticulous instructions, ... Includes decals for recreating the decoration of one unit from the USAF and two units from the Israeli Air Force. A new and spectacular GWH kit featuring, as usual, perfect plastic injection, photoetched parts, details on each and every part, canopy masks, meticulous instructions... Do you dare building a floating Devastator? 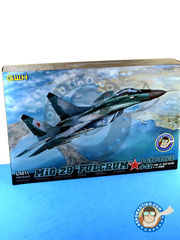 Here is just the best MiG-29 scale model kit on the market, and absolutely spectacular kit with a level of details that will make your jaw drop. 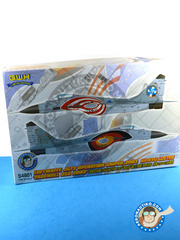 The box includes a huge decals sheet, missiles set injected in one piece, photoetched parts, ... Have you EVER seen something like this? 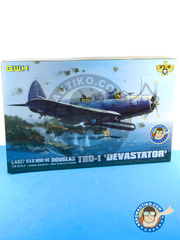 Spectacular as usual this TBD Devastator scale model kit by GWH. 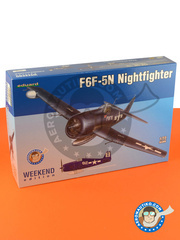 Immaculate plastic injection, exquisite photoetched parts, a million details on each and every part, canopy masks, meticulous instructions, metal parts.... Every modeler's dream!!! And here is the third of the absolutely spectacular scale model kits by GWH about the Fw 189, this time on the skate equipped version for snow operations. As usual, the detail level and parts break up of the kit is excellent. 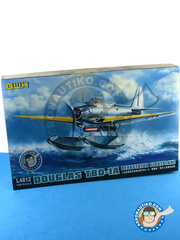 The box includes decals for one unit operating in 1942, in addition to paint masks, photoetched parts and an impressive instructions manual. Behold just another absolutely spectacularGWH scale model, with an absolutely mind blowing detail level and break up. 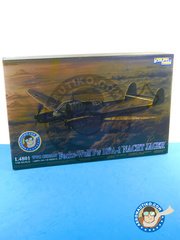 The box includes decals for a night flight unit used in 1945, in addition to masks, photoetched parts and a really impressive instruction manual. Behold just another absolutely spectacularGWH scale model, with an absolutely mind blowing detail level and break up. 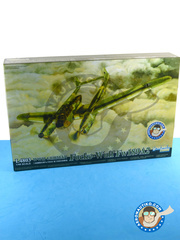 The box includes decals for two units at the Russian front flying in 1942 and 1943, in addition to masks, photoetched parts and a really impressive instruction manual. 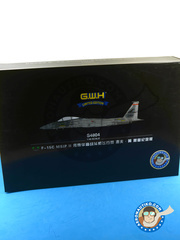 A new and magnificent GWH kit, including in the box a huge pile of hyper detailed plastic parts, photoetched parts, two decal sheets, masks for painting clear parts, color references to Mr Hobby and Vallejo catalogues, ... Just wonderful!!! 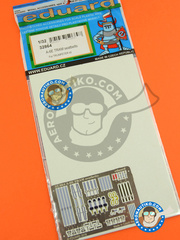 Set of photoetched parts for Bell P-39 Airacobra, including references 32382, 32852 and 32853. 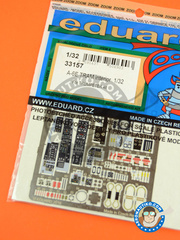 Full color printed photoetched parts sheet for improving the cockpit on Trumpeter A-6 Intruder scale model kit. 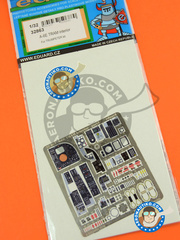 Gloriously full color printed photoetched parts with seatbelts for the Trumpeter Intruder E TRAM scale model kit. 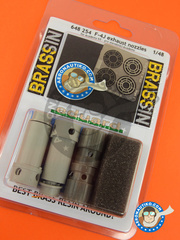 Set of two photoetched parts sheets, one of them gloriously printed in full color, for enhancing and detailing Trumpeter Intruder scale model interior. Give your Academy Phantom II scale model kit some new fresh air with these gorgeous resin and photoetched parts by Eduard. Your kit will look totally different!! 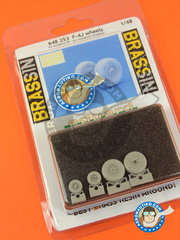 Wheels set for improving landing gear of the J version Phantom II by Academy, including masks for easing the paint process. 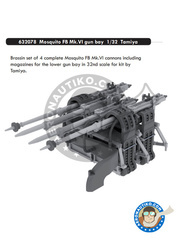 Set of resin parts featuring all 4 complete gun barrels, including ammo magazines. 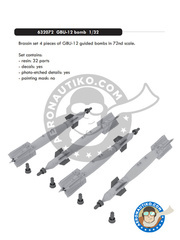 Set of 4 guided GBU-12 bombs, including 32 resin parts, photoetched parts and decals. A wonderful weekend edition of the Grunman F6F Hellcat, including three plastic sprues, one sprue for the clear parts, and Eduard printed decals featuring two decorations from the USAF. 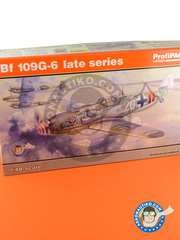 ProfiPACK edition of the Bf 109 G-6 exactly as it flew during the late Second World War. 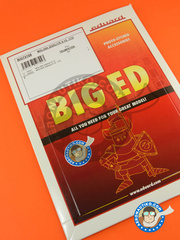 The kit includes photoetched parts, masks and decals for five different decorations. 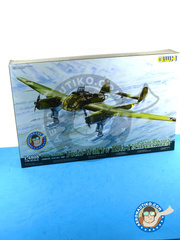 A sky classic reedited, the Avia B.534, now into the ProfiPack Edition series by Eduard. Inside the box you will find five plastic sprues, colores photoetched parts, masks and decals to reproduce 4 different versions. 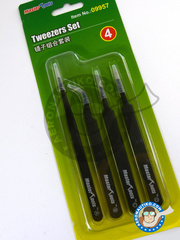 Set of four assorted precision tweezers made of first class steel, making them absolutely essential on every modeler workbench. Each tweezers have different tip shapes for enhanced handling and ergonomics, including a long precision tip, a curved precision tip, a short precision tip, and a flat tip.